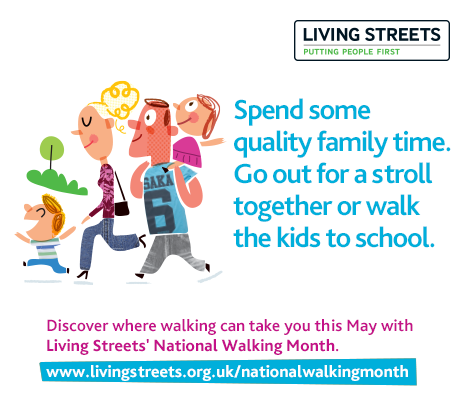 May is National Walking Month, so look out for inspiration from Living Streets, the British Heart Foundation and Walk England to help us enjoy more of our everyday journeys on foot. Dr Michael Mosley said on the radio the other day a 20 minute walk would improve our lifespan by 40 minutes so it’s a no-brainer – get walking. Join in Walk to Work week from 12th-19th May. During Walk to School week 19th-23rd May, many of our local schools, teachers and parents will make a special effort to encourage all children to walk at least some of the journey to school. As well as enjoying the mental and physical benefits of an active journey, leaving the car at home means everyone can benefit from better air quality, less congestion and calmer streets. If you have lots to carry, are travelling a longer distance, or find walking difficult, why not ride a bike sometimes too? 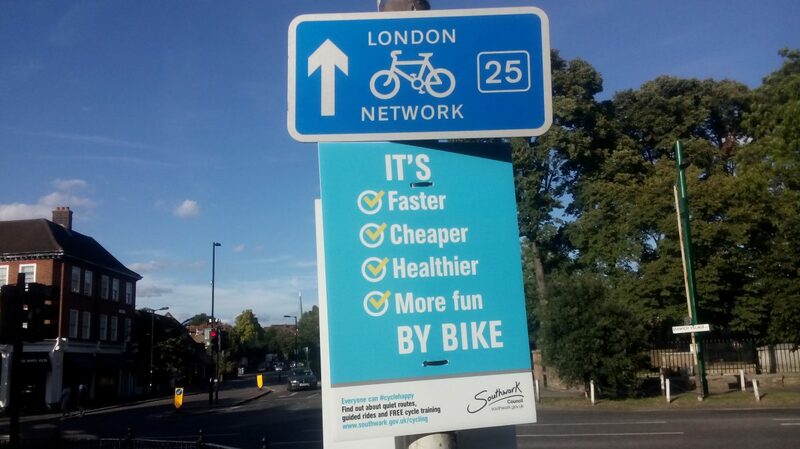 Try the Green Chain Route – part of the Green Chain starts at Dulwich Park.